To express this terroir to the fullest with new and exciting grape varieties. La Mozza Winery consists of 36 hectares (90 acres) and lies in the Southwest corner of Tuscany’s Maremma. This area is much drier than the fog-draped hills of central Tuscany. 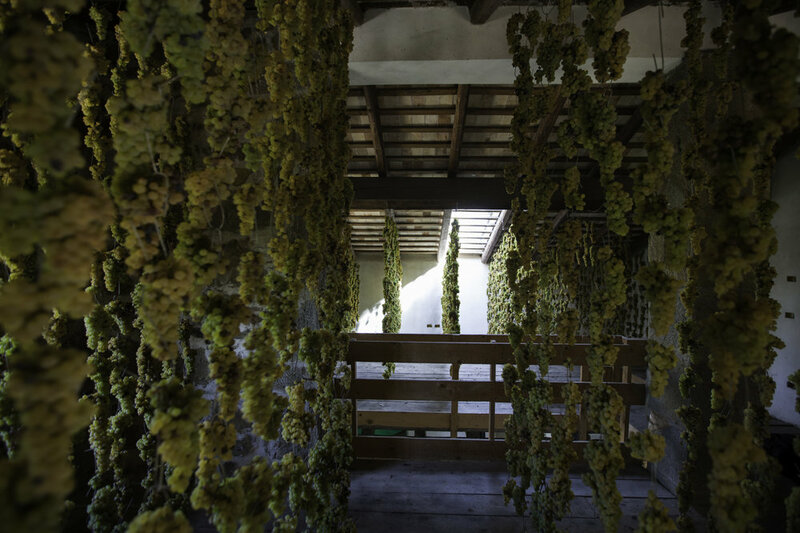 The lack of morning mist means the grapes start ripening at sunrise, and are sun-drenched until sunset. Rain is scarce as the Island of Elba off the coast acts as a windbreak, shifting eastbound moisture to the north and south. Here hot-climate varieties like Syrah and Alicante thrive, and the acidic edge of Sangiovese shows lush cherry fruit. The Bastianich Winery in Friuli-Venezia Giulia creates unique wines that speak of place but, at the same time, show remarkable power and balance. Their blends are made in an area known for single-varietal wines, shifting the focus from the grape to the terroir. Calabrone, is an estate reserve red blend made only in the best vintages with hand-destemmed, partially dried fruit, and is released 5 years after the vintage. Native varieties, such as Tocai Friulano, are unblended to showcase the uniqueness of the grape. The pinnacle of this being Tocai Plus, a particularly complex example made with late-harvest and dried fruit from a single-vineyard of 60 year-old vines. Valter Scarbolo gained a passion for viticulture and winemaking from his father Gino, who ran a farm in Lauzacco in the 1960s. Valter earned a degree in Agriculture and Oenology and founded Azienda Agricola Scarbolo in Friuli’s Grave region in 1982. In addition to vigneron, Valter bears the title of acclaimed restaurateur. He opened La Frasca Trattoria in 1994 and has since built a global reputation for reshaping the way foreign restaurateurs express Italian cuisine and hospitality. Naturally, Valter keeps food pairings in mind when producing his wines. More recently, Valter has been accompanied by his son, Mattia, who is starting to take the reins as the family’s next generation vintner.